Flint, Michigan (November 26, 2008) – A memorial service to honor rap icon Eric T. Breed alias “MC Breed” is scheduled for Tuesday December 2nd, 2008 at House of Prayer Missionary Baptist Church (1851 West Carpenter Rd. Flint, Michigan) from 12:00PM – 2:00PM. Wake visitation for Eric T. Breed will be 1:00PM – 8:00PM on Monday December 1st, 2008 at Lawrence E. Moon Funeral Home (906 W. Flint Park Blvd. Flint, Michigan). MC Breed passed away due to kidney failure on Saturday at the age of 37. 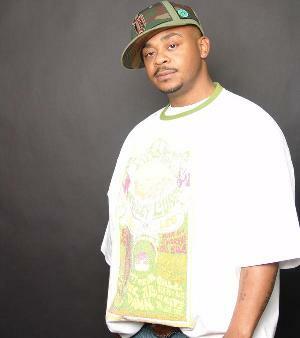 Eric T. Breed was born in Flint, Michigan on June 12, 1971. Breed quickly rose to stardom with the success of “Ain’t No Future In Yo Frontin,” which peaked at #66 on the Billboard Hot 100 and “Gotta Get Mine,” featuring 2Pac which made it to #6 on the Hot Rap Singles chart. Over Breed’s career, he recorded more than 13 albums and collaborated with some of the most recognized names in Hip Hop including 2Pac, Too Short, Warren G, The D.O.C., & Jazze Pha. Breed is survived by his parents: Roy LeEster and Willie Breed, five children: Kiara Monique, Erica Ariel, Alexis Cymone, Marco “MC” Chene, and Eric Jalen, in addition to three siblings: Pete, Kevin, and Bridgette Breed. Breed was hospitalized for kidney failure and briefly placed on life support in September. In lieu of flowers, the family has asked that donations be sent to The American Kidney Fund (6110 Executive Blvd. Suite 1010 Rockville, MD 20852). Thursday November 27th, 2008 (Thanksgiving Night) | One Night Only! Saturday November 15th, 2008 – One Night Only! 2 Pistols, 40 Glocc, 8-Ball, 9th Ward, Ace Hood, Afu-Ra, AKON, Alfamega, Ali Vegas, AMG, B.O.B., Blood Raw, Bobby Creekwater, Bone Crusher, Bow Wow, Busta Rhymes, Candy Hill, Chamillionaire, Che’Nelle, Chino XL, Collie Buddz, Crooklyn Clan All-Stars, Darryl “DMC” Mack, Da Union DJs, David Banner, Daz Dillinger, Deemi, DJ Alamo & Brand Nubian, E-40, Erick Sermon, Fat Joe, Goapele, Gorilla Zoe, Grafh, Grandaddy Souf, Jay Rock, Hot Dollar, Kia Shine, Ky-Mani Marley, Lil’ Cease, Lil’ Scrappy, Lupe Fiasco, Megan Rochell, Melissa Jimenez, Memphis Bleek, Mic Geronimo, Mike Jones, MIMS, MJG, Naughty By Nature, Nelly & St. Lunatics, Nitti, NYCE Da Future, O’Neal McKnight, Paul Wall, Pharoahe Monch, Pitbull, Q Da Kid, Queenpen, R. City, Rampage, Red Café, Redman, Rich Boy, Ron Browz, Saigon, Shareefa, Shawty Lo, Shyheim, Skyzoo, Slim Thug, Smitty, So So Def DJs, Steph Jones, Strong Arm Steady, Talib Kweli, The Big Dawg Pitbulls, The BumSquad DJz Worldwide, The Aphilliates, The Core DJs, The Heavy Hitters, The Hitmen DJs, The Murda Mamis, The Superfriends DJ Crew, The Turntable Assassins, Topic, Trae, Trick Daddy, Troy Ave, Twista, Violator All-Star DJs, Willy Northpole, Wiz Khalifa, Ya Boy, Young Hot Rod, Young Jeezy, and many more.